Before the Rikti War, Paragon City was one of the largest and most prosperous cities in the world. The Rikti, however, used the City as their center of operations and devastated it in the process. Paragon City has since resurrected itself from the ashes, but has not yet reached the heights of prosperity it knew before war. Many parts of the city remain uninhabitable and dangerous, and it to this day remains divided by War Walls. These walls, created from Rikti technology are used for civil defense. The city is divided into separate zones, each of which is surrounded by gigantic walls of energy created from force field generators located within each zone. These powerful blue walls prevent anything from getting in or out, and have been successful in both guarding the city from outside attack and quarantining unsafe zones. The City is divided into three basic types of zones. The first, and most common, is the City Zone. The authorities have determined that these locations are relatively safe for human habitation. Citizens and heroes alike can get from zone to zone either by foot or monorail and the hospitals are always open for any hero who needs treatment. Despite all these signs of normalcy, crime remains a big problem even here. Without protectors, Paragon City remains easy prey to various villainous predators. The second type of zone is the Hazard Zone. These territories are so dangerous that few people dare to live in them. Villains have infested Hazard Zones to the point that they are now uninhabitable. The authorities lack the strength to clean them out and require superhuman assistance to make the areas safe again. Even a single hero is capable of doing some good in a Hazard Zone though. Authorities, however, have created a system to prevent fledgling heroes from getting into situations beyond their capabilities. Each hero must prove himself and achieve a certain minimum Security Level before he can enter a Hazard Zone. The third type of area that exists is the Trial Zone. Much like Hazard Zones, these territories are so dangerous that no sane person inhabits them. However, unlike Hazard Zones, heroes should not venture far into the Trial Zones alone. In order to survive, heroes must work together to fight the evil forces that dwell within these areas. Trial Zones require heroes to reach a certain Security Level before they may enter — and the Trials themselves have further requirements to prevent the unprepared hero from being overwhelmed. But Paragon City is not the only place you may find yourself. After the large influx of heroes arrived in Paragon City, many of the villains there decided they needed a new home. Deals were struck in the highest of offices, and in exchange for "playing nice" and "lucrative taxes", the government turned a blind eye — and the Rogue Isles became a haven for the super-powered and evil. Because of the prevalence of crime and gang activity in the Rogue Isles, the area is naturally divided into the same types of zones. 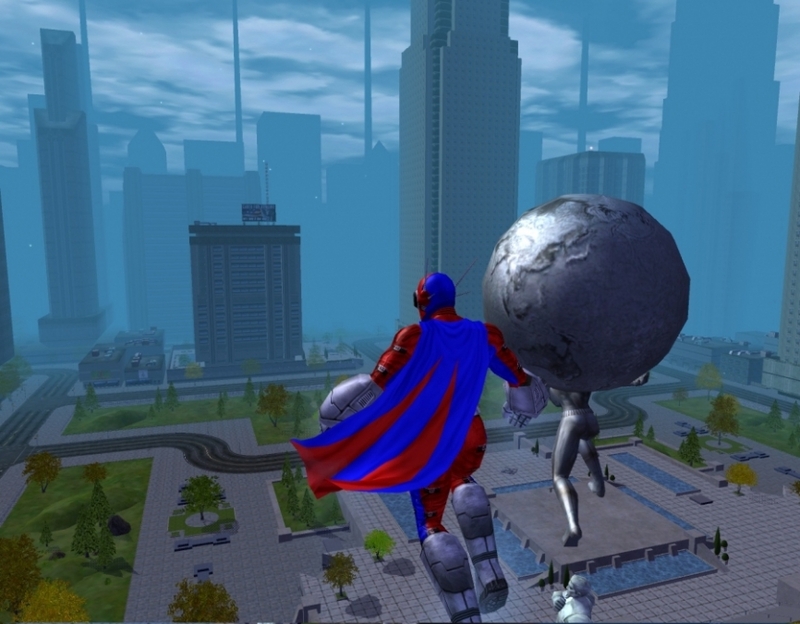 There are city zones where crime is prevalent but are still habitable, and hazard and trial zones where even powerful villains are careful about where they venture.